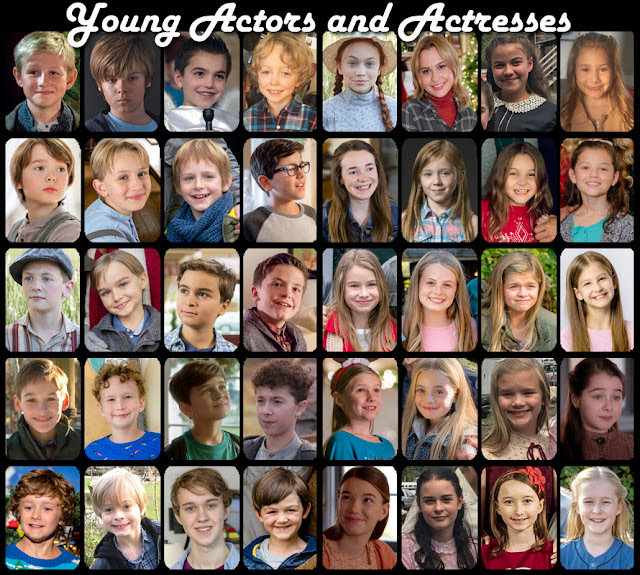 VOTE for Your Favorite YOUNG ACTOR and ACTRESS from a TV MOVIE! The *It's a Wonderful Movie* POLL! YOUNG ACTOR and ACTRESS category! VOTE in the Poll on the right or below! Voting will take place Wednesday - May 30, 2018 to Wednesday - June 6, 2018! VOTE for Your Favorite YOUNG ACTOR from a TV MOVIE! 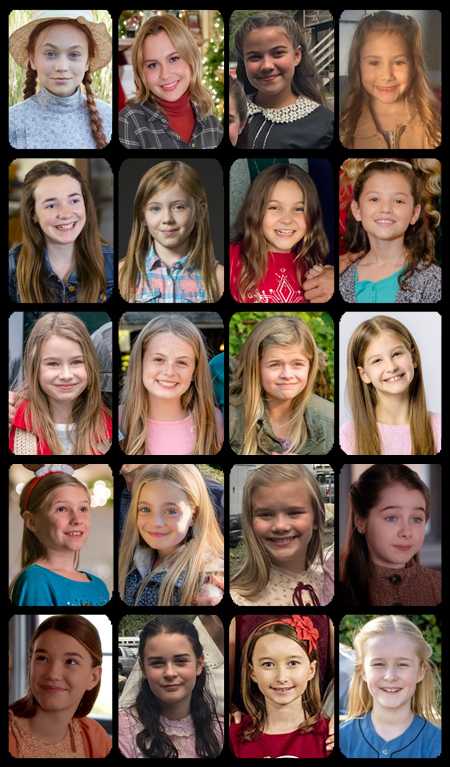 VOTE for Your Favorite YOUNG ACTRESS from a TV MOVIE! Stay Tuned for ALL the RESULTS! Get a Special Preview! 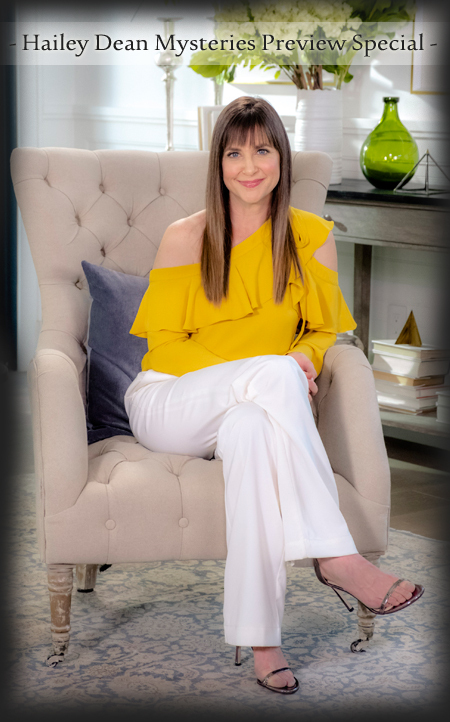 🔎 KELLIE MARTIN gives CLUES 🔎 on THREE NEW "Hailey Dean Mysteries" Coming in JUNE! 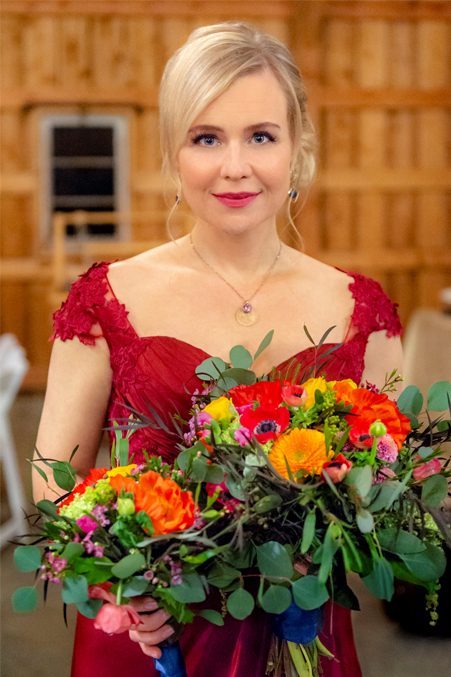 The "Hailey Dean Mysteries" Preview Special, according to Hallmark, is "a first look at all three brand new chapters of "Hailey Dean Mysteries" coming to Hallmark Movies & Mysteries Sunday nights at 7/6c in June." 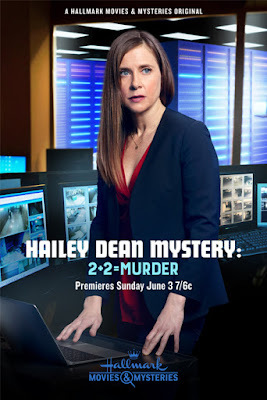 Hosted by Kellie Martin, the Hailey Dean Mystery series is part of the network’s sizzling Summer of Mysteries! 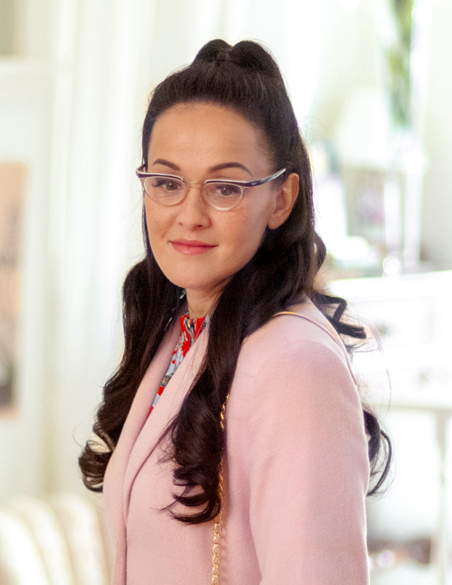 It's like Kellie has invited us all into her living room for some coffee or tea and a little chat about her upcoming movies. And, perhaps, maybe... a little scoop of something - more than sugar! 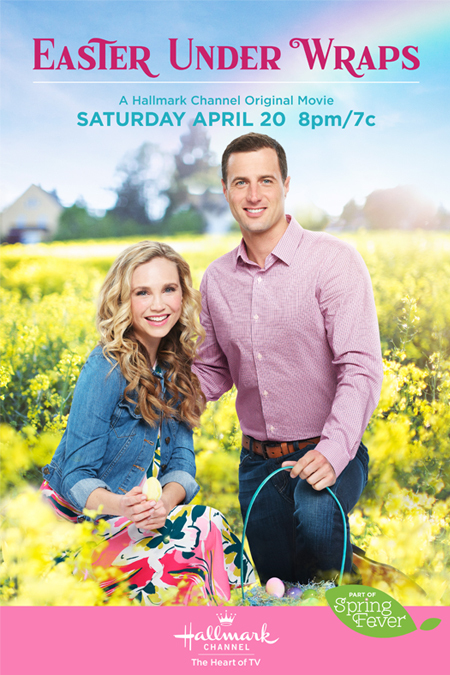 Storyline via Hallmark: When a teacher goes missing at her niece’s school, Hailey Dean is on the case. With the help of Detectives Danny Morgan and Fincher Garland, she investigates the mysterious disappearance, which ultimately leads to the discovery of two dead bodies on the construction site owned by her former college friend, Clyde Bennett. Hailey puts her safety on the line to uncover the incriminating secret Naomi planned to reveal before her death, and to track down the killer. With multiple suspects under investigation, Hailey must use her acute observation skill to solve the murders. 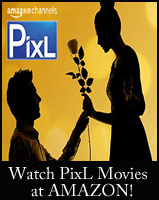 Click Here for movie images & more details! 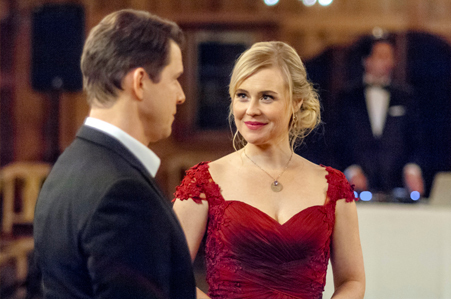 Storyline via Hallmark: Emotionally ready to confront her fiancé's 15-year-old murder, Hailey finds herself caught up in the case of a missing college coed. The deeper Hailey digs into the young woman's disappearance the more she is convinced the two events are related. 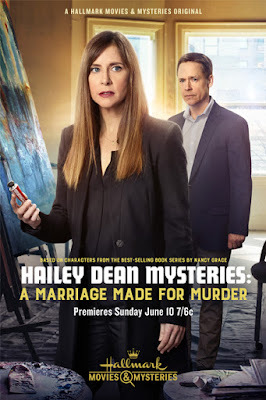 Watch the "Hailey Dean Mysteries"
*Encore airing: June 2 11:00 PM / 10:00 c.
following a marathon of the first three Hailey Dean Movies! Happy Memorial Day Weekend - 2018! As we enjoy this special 3 day weekend, it's a good time to reflect and give tribute to those Veterans who have given their lives to serve our country. 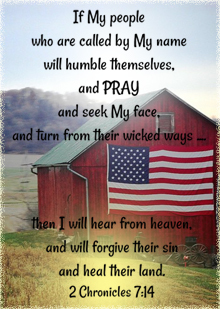 We can never repay their sacrifice, but we must pray earnestly for our leaders and those who serve our country today. We are certainly blessed to live in the "land of the free and the home of the brave." "The Voice" Season 14 finalist Spensha Baker will open the show with a special performance of the national anthem. 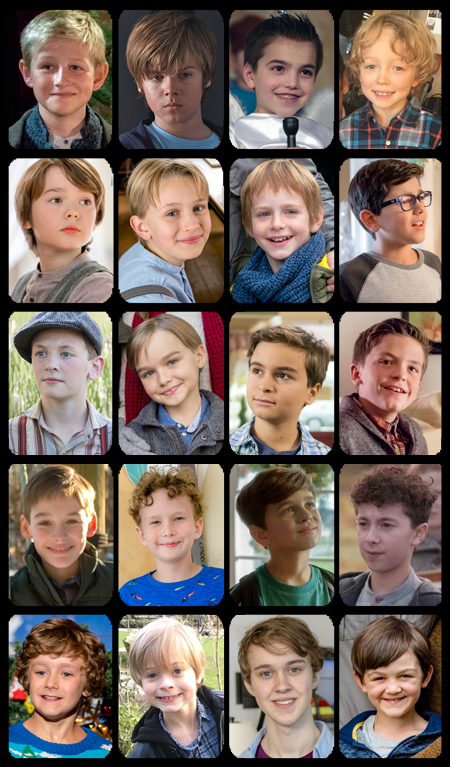 Other performances include, via PBS: Golden Globe and Emmy Award-winning actress Allison Janney; Grammy Award nominee Leona Lewis; Academy Award nominated actor Graham Greene; Tony-nominated actress Mary McCormack; Emmy, Golden Globe and SAG Award-nominated actor John Corbett; film and television actor Brian Tee; actor and country singer Charles Esten; Tony, Grammy and Emmy Award-winning actress and singer Cynthia Erivo; Tony-nominee Megan Hilty; acclaimed tenor and Broadway star Alfie Boe; and Gary Sinise & The Lt. Dan Band, marking 15 years and over 400 concerts entertaining our troops, veterans and military families; in performance with the National Symphony Orchestraunder the direction of top pops conductor Jack Everly. 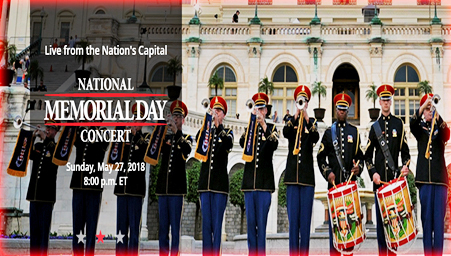 Also participating in the event are the U.S. Joint Chiefs of Staff with The U.S. Army Herald Trumpets, The U.S. Army Chorus and Army Voices, The Soldiers' Chorus of the U.S. Army Field Band, The U.S. Navy Band Sea Chanters, The U.S. Air Force Singing Sergeants, The Armed Forces Color Guard and Service Color Teams provided by the Military District of Washington, D.C. The 2018 National Memorial Day Concert will be live-streamed on PBS.org, YouTube and Facebook. check your local station for times. Watch 2 Military-themed Movies on Sunday May 27, 2018 - The Horse Soldiers and The Monuments Men (rated PG-13). See The Waltons: The Homefront - 2 part Episode on INSP at 3pm/2c. and 4pm3c. *Please note: I have not previewed these military films; however, I do suspect many are filled with war and battle scenes. I would not recommend watching with children. Have a wonderful, sunny, safe, relaxing weekend, everyone! May God Bless Our Troops, past and present! Have a nice Memorial Day Weekend! 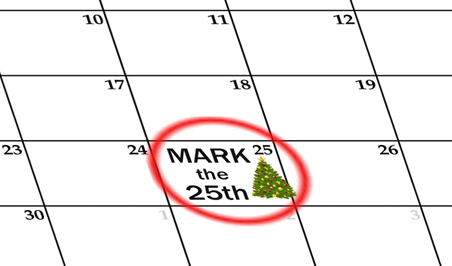 Let's COUNTDOWN to CHRISTMAS and Mark the *25th* of MAY!!! This Friday is May 25th! 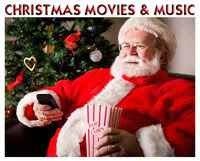 Let's share today which Christmas Movies we are watching! Details below! On May 25th... it's only 7 months until Christmas Day... 213 days and so many hours and minutes, according to my Countdown Clock!!! To commemorate this special time here at It's a Wonderful Movie... I'll share which Christmas movie I have chosen to watch on the 25th, and for those of you who would like to participate, please share which Christmas movie/program you are watching on the 25th - in comments below! The Christmas Card is such an incredible story about military service, sacrifice, and discovering a place that feels like home again. 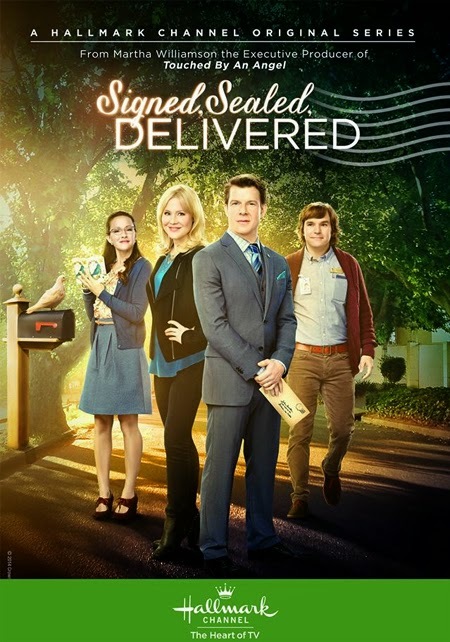 When Master Sergeant Cody Cullen receives a random Christmas card from Nevada City, from a complete stranger, Faith Spellman, he is instantly drawn to her and her picturesque town. 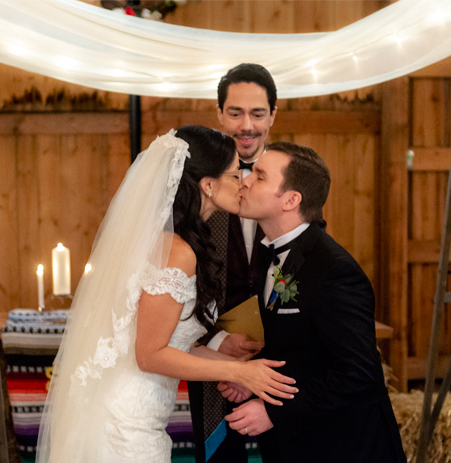 Soon after his arrival there, Cody not only meets Faith (when she mistakenly eats some of his curly fries), but he is immediately welcomed by the folks at church, and discovers a connection with Faith's father, Luke, who also served his country years before. 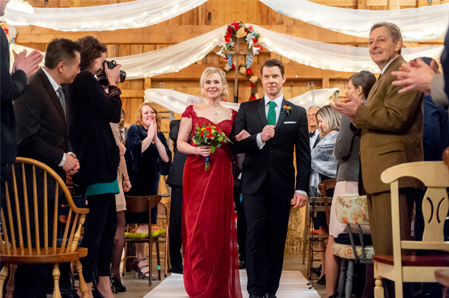 Since The Christmas Card first premiered on the Hallmark Channel in 2006, I'm sure many, many people have seen it over the years, and yet, this movie is one viewers are often drawn back to. In fact, it was Hallmark's first "Merry (Meow) Madness" bracket winner in 2017. 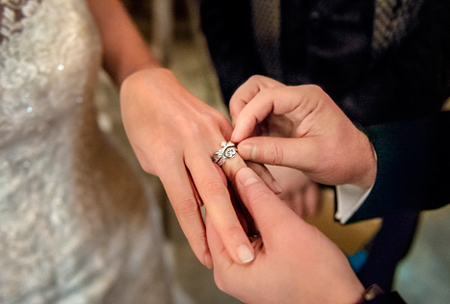 Following Faith's letter to Nevada City restores Cody's faith in his fellow man and the hope of love one day! 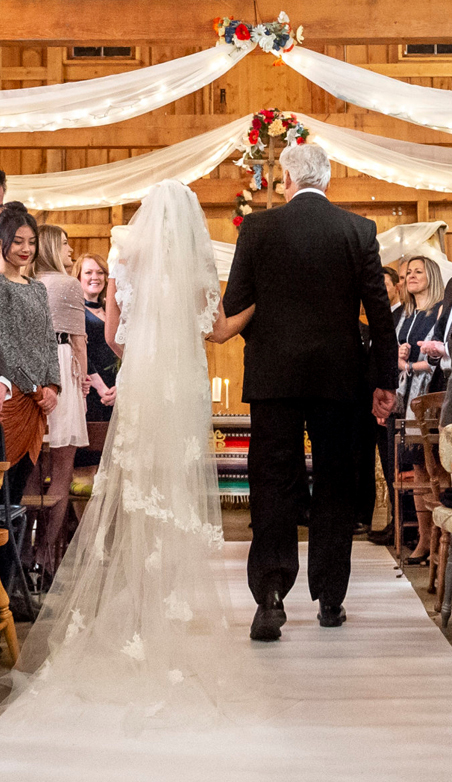 Why does this story still resonant so deeply? 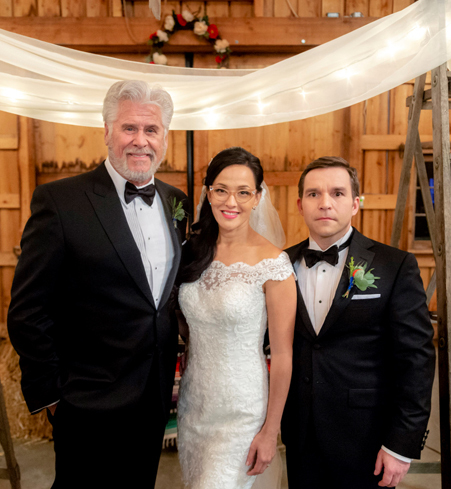 My conclusion is, we are touched by the heart of the story... the mysterious letter from a stranger, the new, exciting romance, the honorable way they give tribute to all of our military, and this beautiful family that accepts Cody so warmly into their hearts and home. 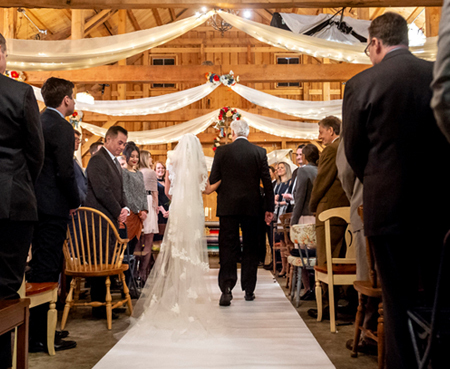 This movie is filled with so many meaningful moments and visually stunning wintery scenes... the snowfall sleigh ride, the sweet country church and it's members singing Christmas carols, the lumberyard filled with snow, the town's Christmas dance, the waterfall dedication to our Vietnam veterans, and the lovely, warm, and inviting Spellman log-cabin home decorated for Christmas! 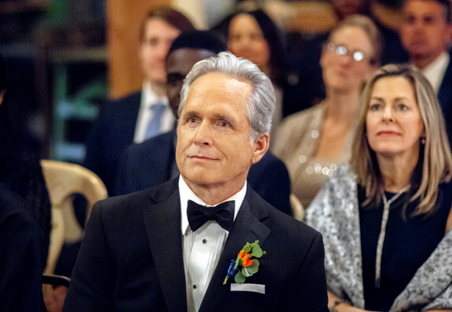 There's also lots of wonderful and fun dialogue in The Christmas Card, too... such as, Cody says at the dance (regarding Faith's boyfriend, Paul), "He's just marking his territory." 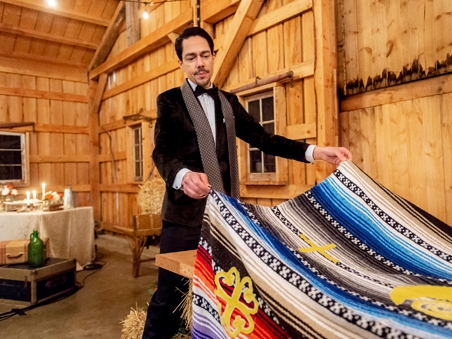 And, mischievous Uncle Richard says... "The best things happen while your dancing." 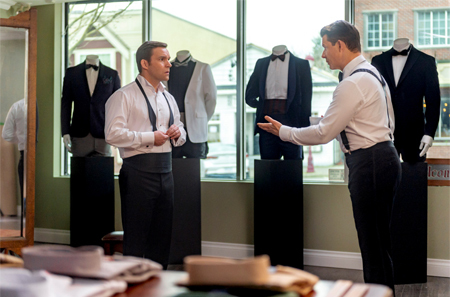 The Christmas Card is a true Hallmark Holiday Classic! As the engraving says on the bench Cody gives Luke and Rosie (Faith's parents) for Christmas... it's "where the magic begins!" This is an ideal movie to watch on Memorial Day weekend, due to the way this film honors our veterans from Korea, Vietnam, and Afghanistan. In addition to it, there are other wonderful choices of Christmas movies that honor our military, including: "Operation Christmas," "Christmas Homecoming," and "The Christmas Note." Now, it's your turn to share... which Christmas movie/program will you watch on the 25th? .... as we continue to Countdown to Christmas together! 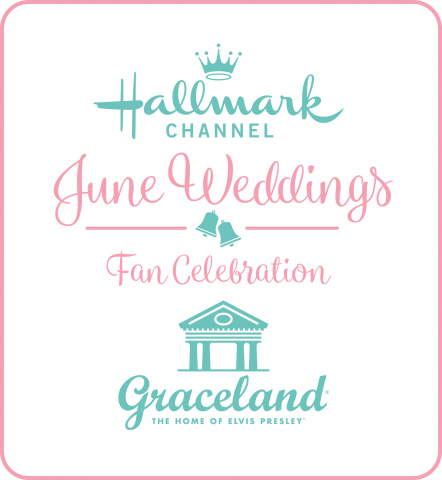 HALLMARK Gives Viewers a July filled with Christmas Movies! 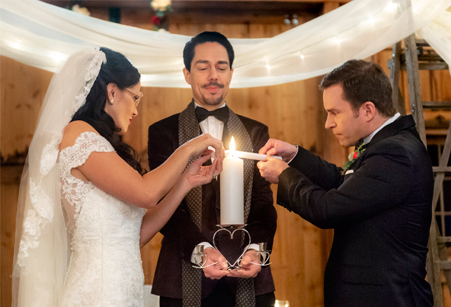 STUDIO CITY, CA – May 24, 2018 – Hallmark gives viewers a slate of snowy offerings to help them cool down and get into the holiday mood during the networks’ annual Christmas programming events throughout the month of July. 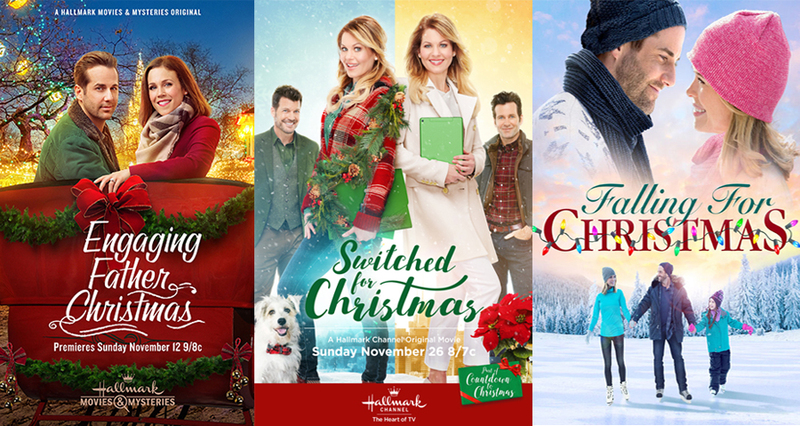 This year the company’s streaming service, Hallmark Movies Now, is joining the holiday party for the first time. 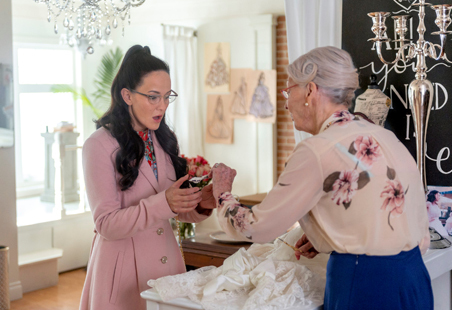 Hallmark Movies & Mysteries’ Gold Crown Christmas event from Friday, June 29 – Sunday, July 8 UPDATE: July 15. 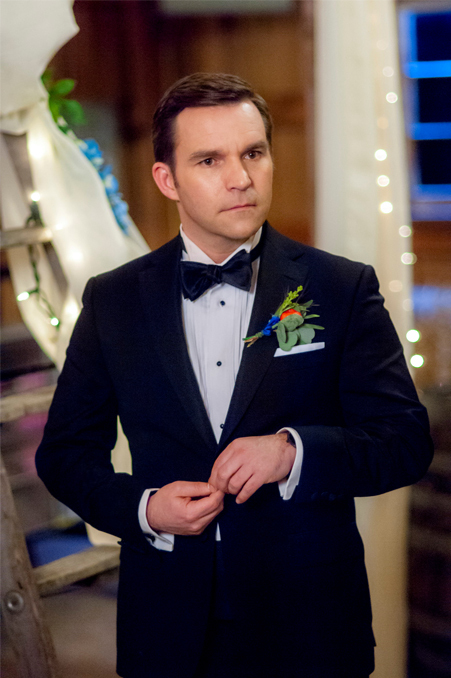 Some of the heartfelt holiday tales from last year include “Christmas Homecoming” starring Julie Benz (“Training Day,” “Hawaii Five-O) and Michael Shanks (“Saving Hope”); “Engaging Father Christmas” with Erin Krakow (“Army Wives,” “When Calls the Heart”), Niall Matter (“When Calls the Heart,” “Supernatural”), Wendie Malick (“Hot in Cleveland,” “American Housewife”); “Christmas in the Air” starring Catherine Bell (“JAG, “Good Witch”) and Eric Close (“Nashville”); “Magical Christmas Ornaments” starring Jessica Lowndes (“Major Crimes,” “90210”) and Brendan Penny (“Chesapeake Shores,” “Motive”) and “Christmas in Angel Falls” with Rachel Boston Rachel Boston (“Witches of East End,” “In Plain Sight”), Paul Greene (“When Calls the Heart,” “Girlfriends’ Guide to Divorce”) and Beau Bridges (“Homeland,” “Black-ish”), to name a few. 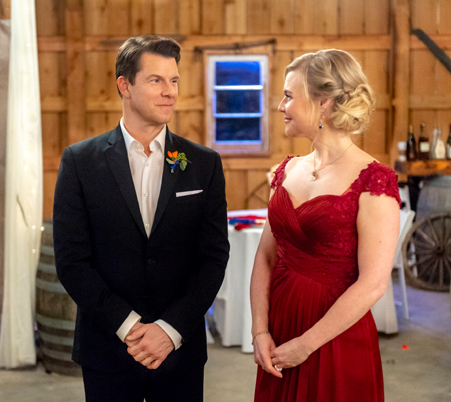 The holiday fun continues with Hallmark Channel’s Christmas Keepsake lineup, from Friday, July 6 UPDATE: July 13 - Sunday, July 22. 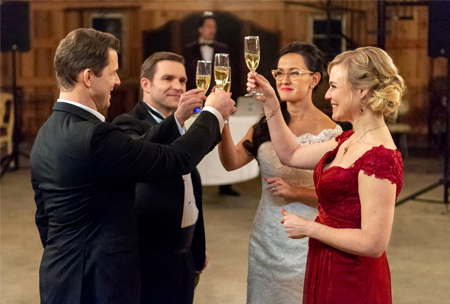 A sampling of the romantic, yuletide adventures include “Switched for Christmas” starring Candace Cameron Bure (“Fuller House,” “The View”), Eion Bailey (“The Last Tycoon,” “Once Upon a Time”), Mark Deklin (“Grace and Frankie,” “Major Crimes”); “Coming Home for Christmas” with Danica McKellar (“The Wonder Years”), Neal Bledsoe (“The Mysteries of Laura”); “A Gift to Remember” starring Ali Liebert (“Chesapeake Shores”) and Peter Porte (“Baby Daddy”); “Finding Santa” with Jodie Sweetin (“Fuller House”) and Eric Winter (“The Good Doctor”) and “Christmas at Holly Lodge” starring Alison Sweeney (“Days of Our Lives,” “The Irresistible Blueberry Farm”), Jordan Bridges (J. Edgar, Mona Lisa Smile) Sheryl Lee Ralph (“Instant Mom,” “Ray Donovan”), among others. 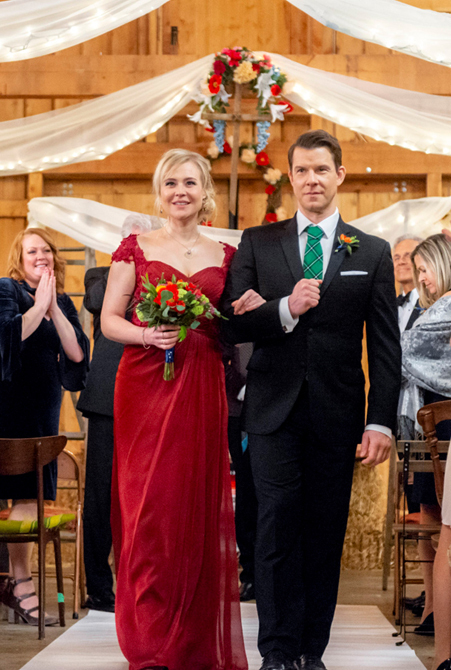 For holiday aficionados who want to watch their ho-ho-ho on the go, streaming service Hallmark Movies Now is gifting viewers with Jingle in July. 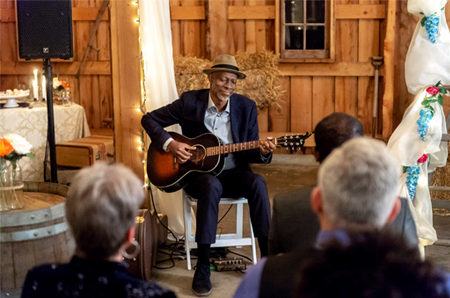 Starting Monday, July 23 – Tuesday, July 31, subscribers will be able to enjoy the service’s library of holiday favorites in addition to two new movies never before offered – “The Rooftop Christmas Tree” starring Michelle Morgan (“Heartland”) and Tim Reid (“Greenleaf”) and “Falling for Christmas” with Leah Renee (“Satisfaction”), Niall Matter and Lisa Whelchel (“The Facts of Life”). Set Sail! 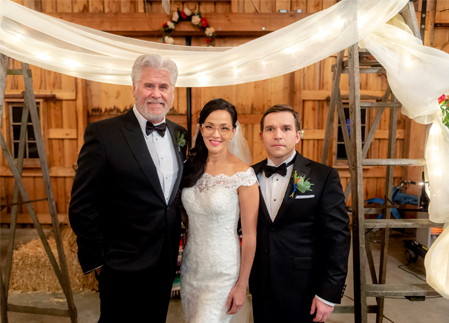 Hallmark Announces FIVE 2018 "Summer Nights" Destination Movies with Lacey Chabert, Cameron Mathison, Alexa and Carlos PenaVega, Jill Wagner, Marc Blucas, and More!!! First stop on the world tour is South Africa, the setting for “Love on Safari,” premiering Saturday, July 28, (9:00 p.m. ET/PT). Shot on location in Johannesburg, Lacey Chabert (“Party of Five,” “Moonlight in Vermont”) stars as a web designer who finds plans for her trip to Scottsdale derailed when she learns she’s inherited an animal reserve in South Africa and must travel there for the reading of the will. 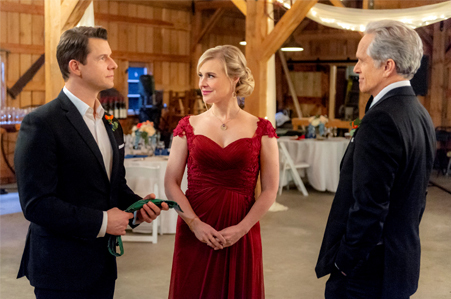 Faced with the decision to sell, she meets the no-nonsense ranger played by Jon Cor (“Lost in Space”), who takes her on a safari in hopes that she will fall in love with the land, the animals and hopefully him. Viewers will be captivated by the breathtaking Sub-Saharan scenery of the reserve featuring tranquil grasslands and populated with majestic wildlife including zebras, elephants, lions, giraffes and more. Next, an exciting voyage is in store for viewers with “Love at Sea,” premiering Saturday, August 4 (9:00 p.m. ET/PT). Real-life husband and wife Alexa PenaVega (Spy Kids) and Carlos PenaVega (“Big Time Rush”) head out on the high seas aboard Royal Caribbean’s Harmony of the Seas as it cruises to exciting ports o’ call including Jamaica, Nassau, St. Thomas and Cozumel. Alexa stars as an event planner organizing a multifaceted event on board the ship and thinks she has everything set to the last detail…until she learns she’ll be dealing with the rookie, substitute cruise director, portrayed by Carlos, who has his own way of doing things that puts a wrench in her carefully thought out plans. 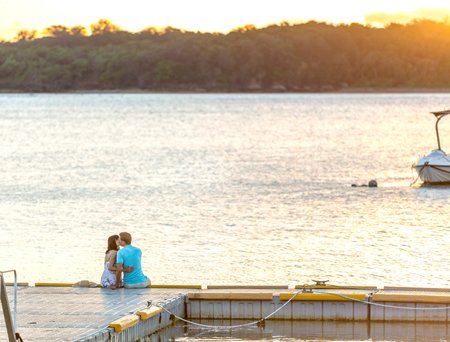 For viewers who dream of vacationing on the beaches of a tropical island, a trip to the South Pacific is next on the itinerary with two original movies. 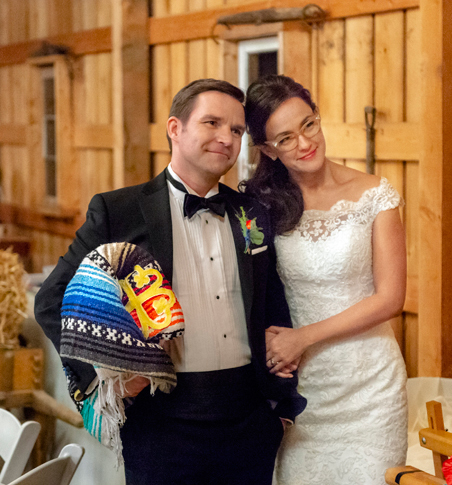 “A Summer to Remember” stars Catherine Bell (“JAG,” “Army Wives”) and Cameron Mathison (“All My Children,” “Entertainment Tonight”) and premieres Saturday, August 11 (9 p.m. ET/PT). 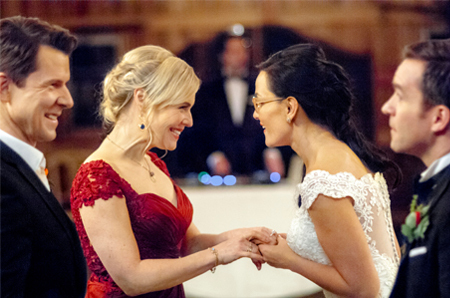 Shot on location in Fiji, Bell stars as an ER doctor who retreats to the island with her teen daughter so they can reconnect and hopes to recapture the tranquility she found there years ago with her late husband. During the trip, hiking through picturesque jungles, paddle boarding, horseback riding – and possibly love – are on the agenda. Also jetting off to Fiji are Jill Wagner (“Wipeout”) and Kristoffer Polaha (“Ballers,” “Get Shorty”) for “Pearl in Paradise” (working title) premiering Saturday, August 18 (9 p.m. ET/PT). Wagner stars as a photographer for a nature magazine who hopes to become its new creative director but first, she must come up with a winning angle for the cover of their 30th anniversary issue. 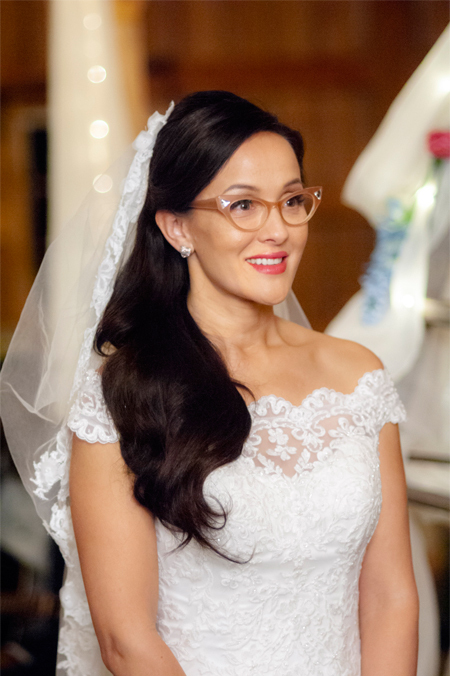 She enlists the help of a romance novelist (Polaha), who she’s convinced will help her locate a rare blue pearl buried somewhere on Fiji that was the subject of one of his bestselling books. Their adventure leads them from the comfort of a luxurious resort through the rugged yet lush jungles of the island, punctuated by cool streams and awe-inspiring waterfalls. 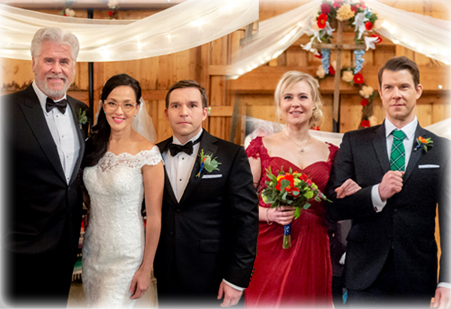 Another destination this summer is home sweet home in "Season for Love" (previously known as: “A Sweet Taste of Love”)(working title) premiering Saturday, August 25 (9 p.m. ET/PT). After her divorce, Tyler returns to her hometown to spend the summer with her daughter and mother. Her mother owns and operates a local, once-popular BBQ restaurant. 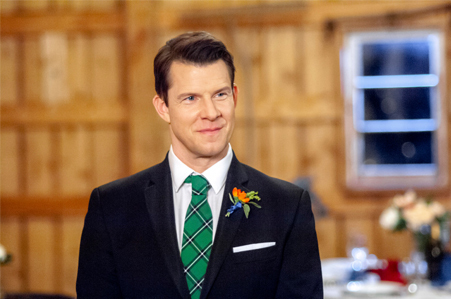 At her daughter’s urging, Tyler (Autumn Reeser) signs up for the town’s famous, annual BBQ competition, where she soon realizes her high-school sweetheart (Marc Blucas, “Underground,” “Miss Christmas”), now a celebrity chef, is back in town and part of the contest. As the two are forced to spend time together, old feelings resurface but Tyler convinces herself she has no room for distractions, especially when there is a competition to win. 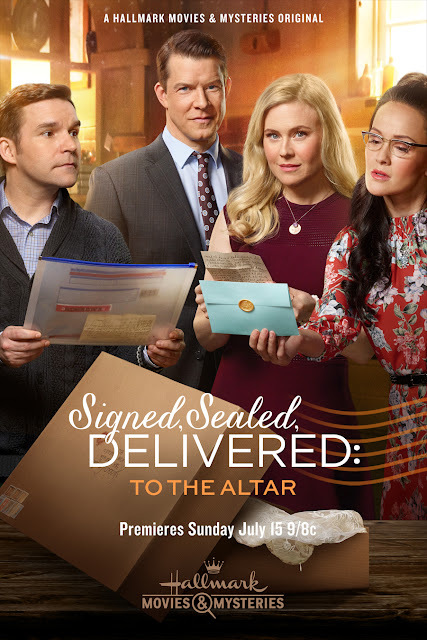 Storyline via Hallmark: As Rita and Norman get ready to walk down the aisle and say “I do,” the POstables go beyond the call of duty when, after completing their postal mission, they attempt a much bigger reunion – that of a mother and daughter separated by mysterious circumstances and years of pain caused by a mother’s absence.